The ProJet 5000 offers a unique combination of size, precision and ease-of-use to make it the ideal choice for printing large and small durable hard plastic parts with superior feature quality and detail. This workhorse delivers over 80 hours of unattended operation using Multi-Jet Modeling technology. With a net build volume of of 21.65 x 15.5 x 11.8 inches (550 x 393 x 300mm), the ProJet 5000 offers a large build size, 3 different print resolutions, and works with the VisitJet MX Build material, which delivers high durability and strength UV-curable acrylic plastic. It enables improved design communication and a compressed design-to-manufacture cycle time to reduce time to market and boost final product quality. 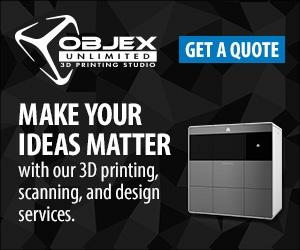 Profit from the largest build volume available to maximize your printing capabilities. Feel free to tackle other projects while the ProJet 5000 is at work; it can operate unattended for over 80 hours.